Circa 1870. 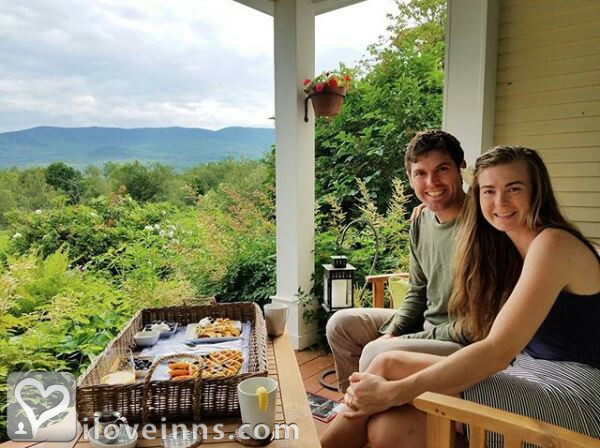 The newly renovated Vermont Bed and Breakfast at Russell Young Farm is a quiet mountain retreat surrounded by 27 acres of pastures and woodland, facing the scenic Green Mountains. 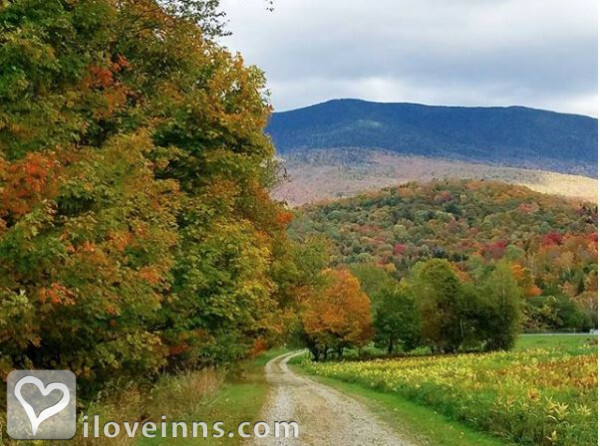 Come for a weekend getaway and enjoy the Vermont experience - relaxing by the fieldstone fireplace, visiting local breweries, vineyards and cheese makers, exploring farmers markets and taking pictures of covered bridges and beautiful farmland. Every season offers spectacular views, a variety of scenic outdoor activities, music festivals, and a wide selection of award-winning culinary and cultural attractions nearby. 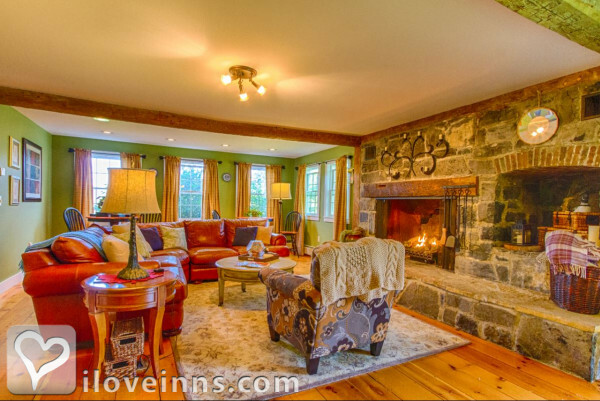 At the end of the day, sit by the fire and unwind after visiting local shops, museums or adventures on the trails. Curl up with a book in the second-floor sunroom. Enjoy the view of the mountains by day and breathtaking stargazing by night. There's 24/7 access to coffee, tea, and refrigerator. Savor a country breakfast made with local, Vermont-made products and seasonal ingredients. 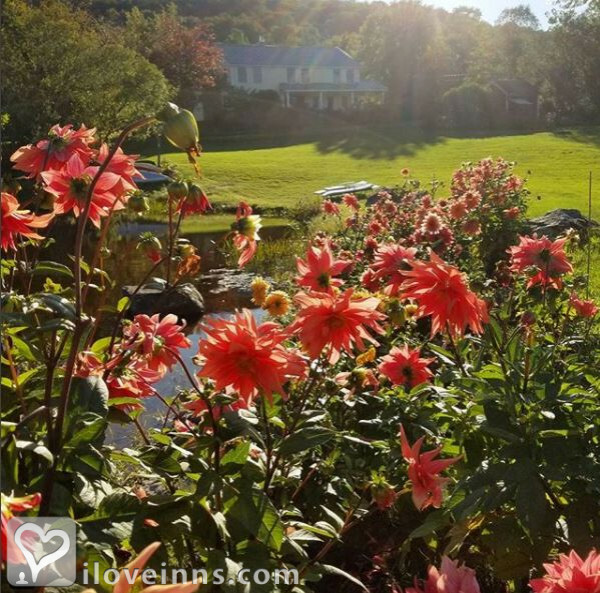 On the weekends the inn serves a two-course breakfast catered to guests dietary needs, including fresh eggs from the chickens and ducks, fruits from the trees and veggies from the garden. Each guest room has its own private bathroom, complete with locally made soaps, hairdryers, bathrobes, heated towels and all of the comforts desired to make your getaway extra special. 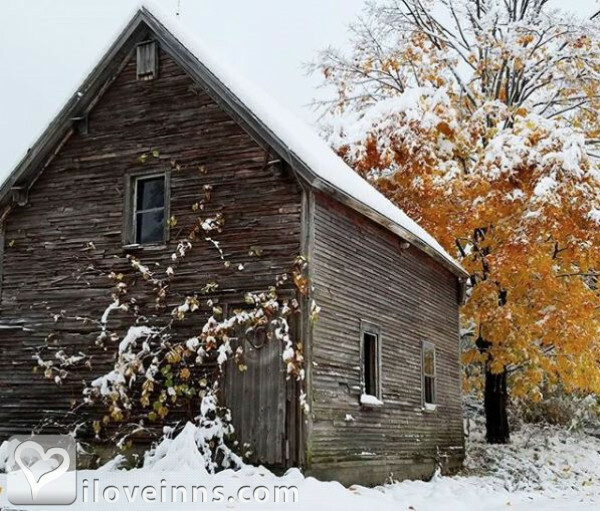 The innkeepers strive to bring together the beauty of an old Vermont farmhouse retreat with the comforts of today. 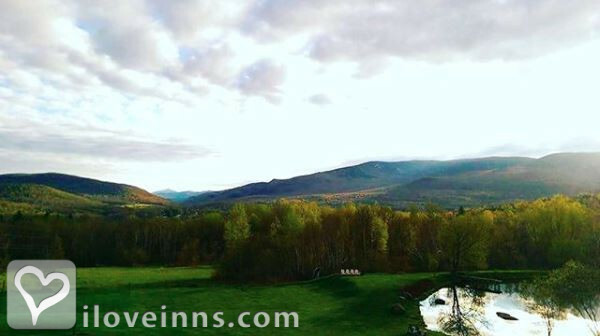 The inn practices energy conservation with new windows, insulation, and siding installed in 2018, as well as solar power, composting and recycling. 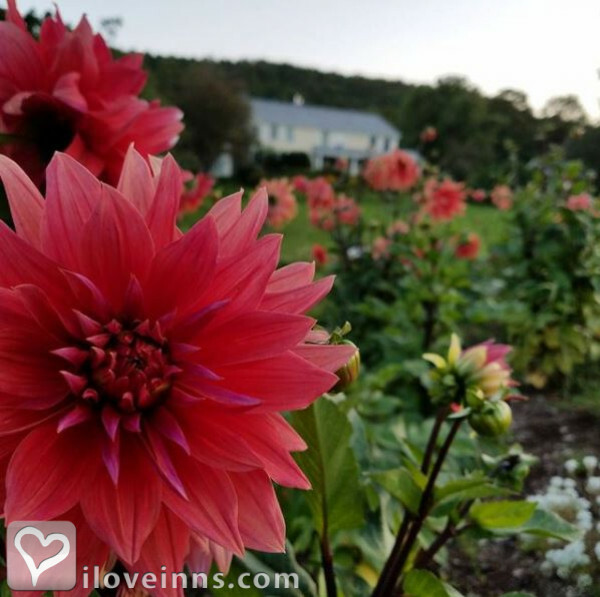 Many fruits, vegetables, and flowers are grown in the garden, for guests to enjoy and the innkeepers are involved in local organizations and community development initiatives in the area that make this such a vibrant place to visit. Payment Types Accepted Include Travelers Checks, Visa, Discover, Personal Checks, Master Card and American Express. This property has 3 total guest accommodations with private bath. The types of beds available include Queen. 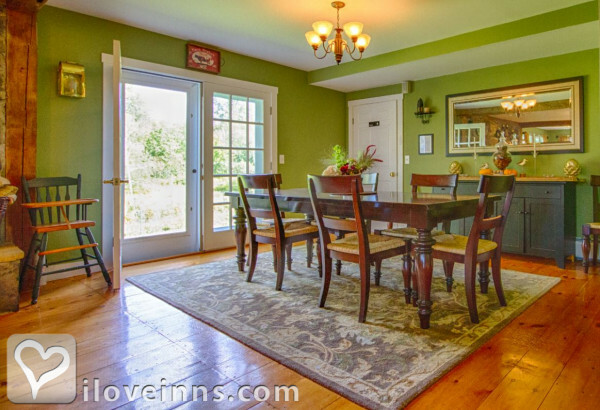 Quiet country settings, with wonderful views, yet within 30 minutes of popular city centers. Solar power. Newly insulated and all-new windows provide weather proofing. Each room has its own heat monitors. Food waste is re-purposed for chickens, worm farm, and compost for the garden. We raise chickens and ducks who provide fresh eggs. We have our own fruit trees and shrubs. Guests enjoy fresh ingredients from our garden and local farmer's markets. 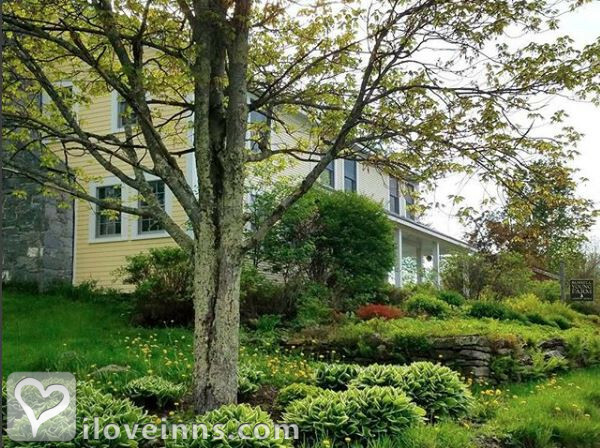 1/2 acre pond, pastures and woods in the Green Mountains. Plentiful flower and vegetable garden space. Our ducks and chickens provide fresh eggs daily. 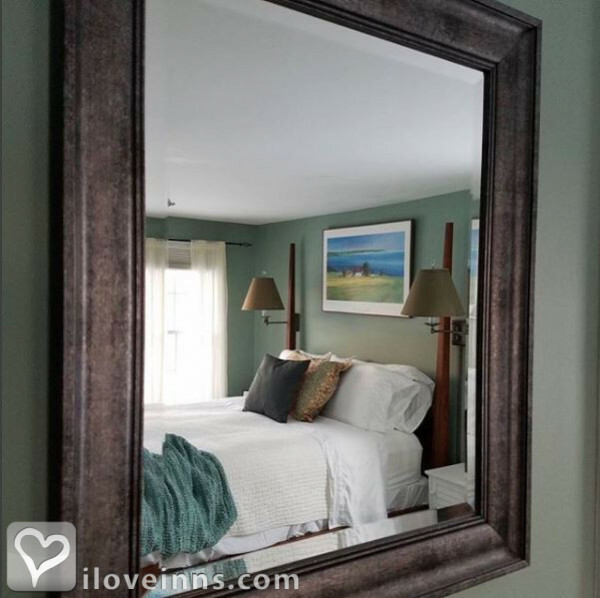 The Blue Spruce Room is a restful retreat on the second floor. 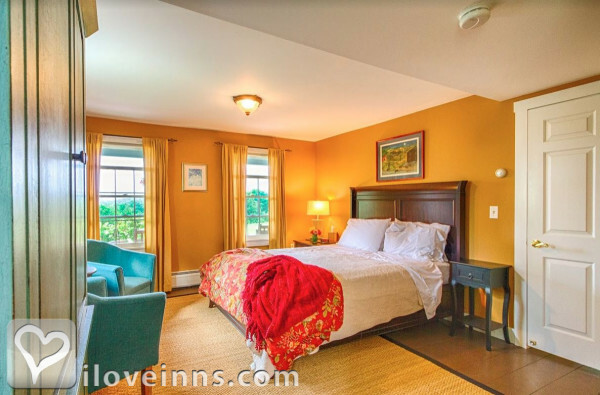 With large new windows overlooking the mountain view, this is one of our most popular rooms. The room was fully redecorated this year, bringing in luxurious linens, fresh colors, and tasteful design. The queen size four-poster bed is perfect for taller travelers, as it has no foot-board. The private bathroom includes local soaps, shampoo and conditioner, hair dryer and heated towel rack. Guests enjoy the use of bathrobes and a white-noise sound machine. Guests have full control of the temperature. *A cot may be added to the room if an additional bed is needed. The Balsam Poplar Room is adjacent to the sun room, on the second floor. With large new windows overlooking the mountain view, it is the perfect spot to enjoy a relaxing getaway. The queen-size bed includes a down pillow-top mattress, for added comfort. The private bathroom includes local soaps, shampoo and conditioner, hair dryer and heated towel rack. Guests enjoy the use of bathrobes and a white-noise sound machine. Guests have full control of the temperature. *A cot may be added to the room if an additional bed is needed. There will be no refunds for reservations cancelled less than 14 days from the day of booking unless the rooms can be rebooked. Whether you're an avid adventurer, a patient pedaler, or serious cyclist, there are great locations nearby for exploring via bicycle. Enjoy a day-cruise along the Colchester Causeway, a rail trail with the open water of Lake Champlain on either side that includes a bike-ferry and vineyard visits. Pump up your adrenaline and explore mountain trails at nearby adventure centers. Or, challenge yourself to ascend one (or all) of the five nearby mountain gap roads. There is a bike adventure here just waiting for you! Valid from 05/18/2018 through 01/01/2020. Giving the perfect gift is so rewarding! Purchase a Gift Certificate for someone special and save 10%! Girls Getaway? 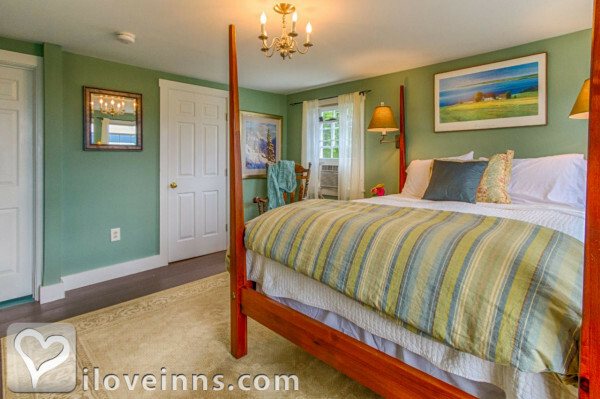 Save 10% when you book all three rooms for two or more nights! Please mention "Full House 10% Discount" when you book. Not valid on holiday weekends. 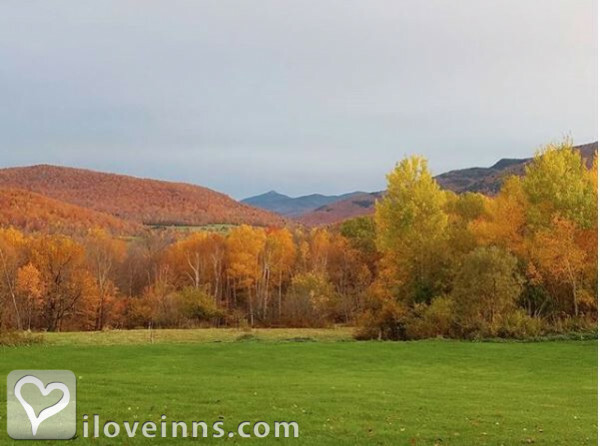 Enjoy a weekend away at our Vermont Bed and Breakfast! Stroll our sprawling property, collect eggs from the chickens and ducks, enjoy fresh fruit and veggies from our garden. Make it a long weekend and enjoy 50% off your third night! Quick Trip From Boston Or Nyc! Getaway from the hubbub of the city and unwind at our country retreat! 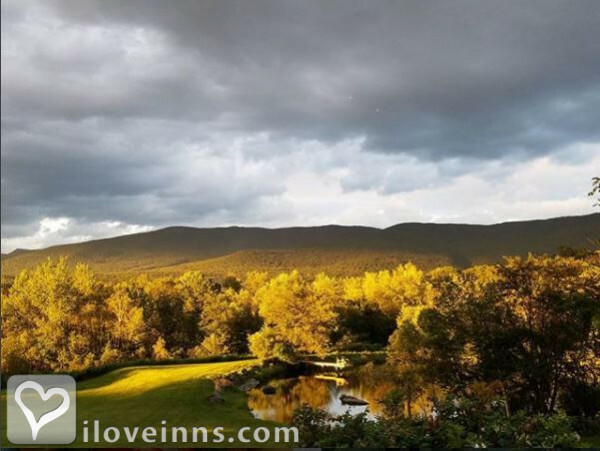 Enjoy the mountain views from your room and thoughtfully prepared meals with the best local ingredients! Explore outdoor attractions or visit some of the award winning farmers markets, restaurants, and breweries in the area. Make it a long weekend and enjoy 50% off your third night! If you are love bird watching, you'll enjoy the sights and sounds our B&B has to offer! Rise early and (depending on the season) you may glimpse a shrike, woodpeckers, turkeys, geese, nuthatches, orioles, hummingbirds and many other species! Visit our nearby Audubon Center, located just around the corner. Spend your birthday with us and we will help you celebrate in style! Enjoy a special breakfast, afternoon treats and a relaxing getaway to make you feel refreshed as you begin a new year! Enjoy an hour-long massage treatment on site for just $90 plus gratuity! Please call or email in advance to schedule spa services. Couples-massage available. As our way of saying "thank you for your service," Vermont Bed and Breakfast at Russell Young Farm offers U.S. Military Veterans and U.S. Active Duty Military a 10% discount off the room rate all year. Celebrate your pregnancy and enjoy a quiet retreat before the baby comes! We will provide you with special treats throughout the weekend, cookies, milk and pickles! Your room will have all of the comforts you can enjoy - heated towels, extra pillows, bathrobes, and mountain views from every room. Enjoy a restful getaway. You have earned it! Valid from 05/16/2018 through 01/01/2020. Beautiful grounds and people! Thank you so much for giving us a taste of Vermont. Renee P.S. We will be back! Lovely Fourth of July at the Farm! Approaching Russell Young Farm one is treated to a spectacular view on the right over a small pond to the Green Mountains and the Camel's Hump. On the left the yellow farmhouse with a lovely front garden which greets you with a delightful fragrance as you head to the door. Inside Luke and Carin are wonderful hosts. The ground floor room Maple Sugar Room where we stayed is clean, spacious, and well equipped to deal with either a cool summer night or a hot one- there are ample blankets for the former and air conditioning for the latter. There is lots of light from the front windows where you get to see the magnificent view and from the multiple side windows. A walk-in shower that is handicap accessible has great water pressure and also a hand held shower head too. A side door leads to the outside. Comfort with a Capital "C". 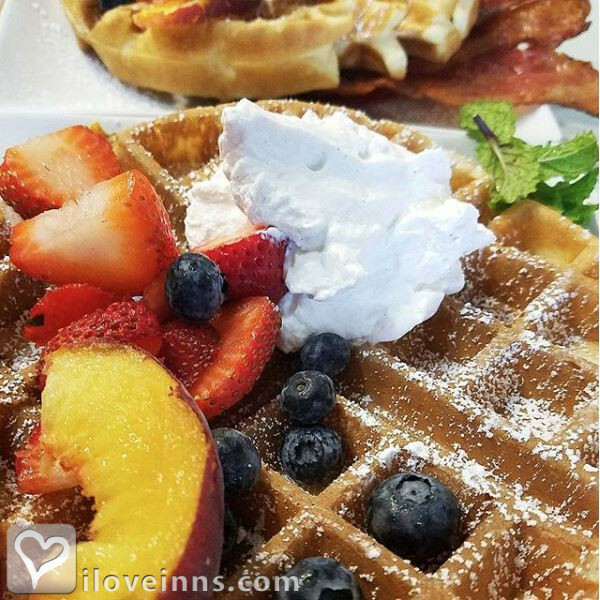 Each morning there was a fantastic breakfast - eggs, bacon, English muffins and cantaloupe with hot coffee and orange juice the first day and on the Fourth- it was Red, White, and Blue. Pancakes with blueberries, strawberries, Vermont maple syrup and sausages! 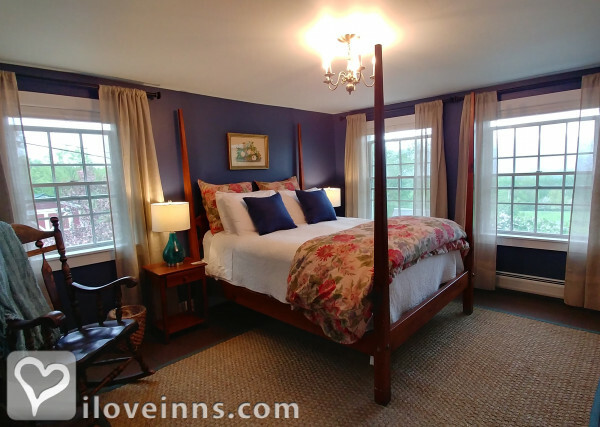 This B and B is a hidden gem and the hosts are available and considerate- sending up to date information about parades and fireworks occurring in the area and lots of information about Vermont areas to explore around Bristol, Burlington, and more. We will definitely return for another stay." A+! 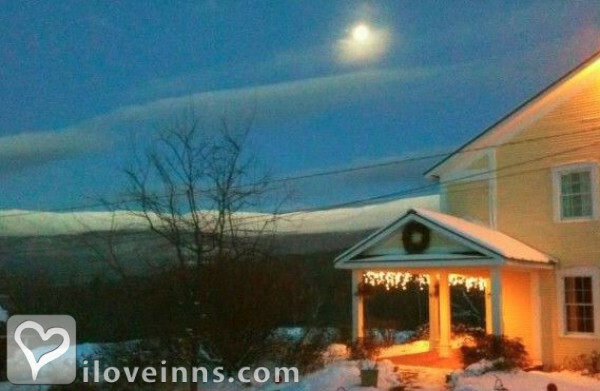 If you are looking for the quintessential Vermont bed & breakfast experience, look no further. This place has a gorgeous setting, beautiful rooms, incredible breakfast and gracious hosts. 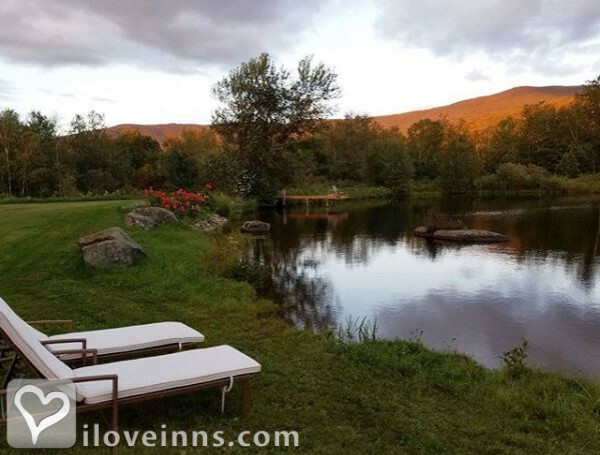 Peacefully located at the end of a gravel road, with a beautiful little pond set in front of an incredible view of the Green Mountains. Spectacular views, fabulous breakfasts, comfortable beds, well appointed rooms, relaxing common area - who could ask for more? Carin and Luke are very gracious hosts who went out of their way to accommodate my special diet and make sure we were extremely comfortable. 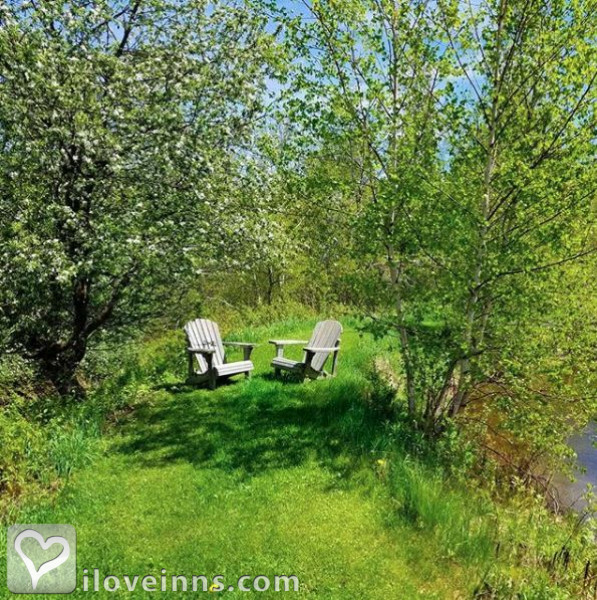 The location is the epitome of peacefulness and quiet. Our stay couldn't have been better! We had a terrific time! A wonderful getaway! Lovely bed and breakfast with breathtaking views. Breakfast was amazing, along with the entire experience. 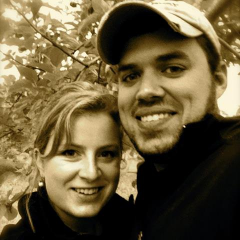 Carin and Luke thought of every detail and were great hosts. Every night there was a treat waiting for us (chocolate chip cookies, blueberry scones to name a couple of them). We very much enjoyed our stay. We were celebrating our anniversary and this was the perfect place to relax and enjoy the celebration. 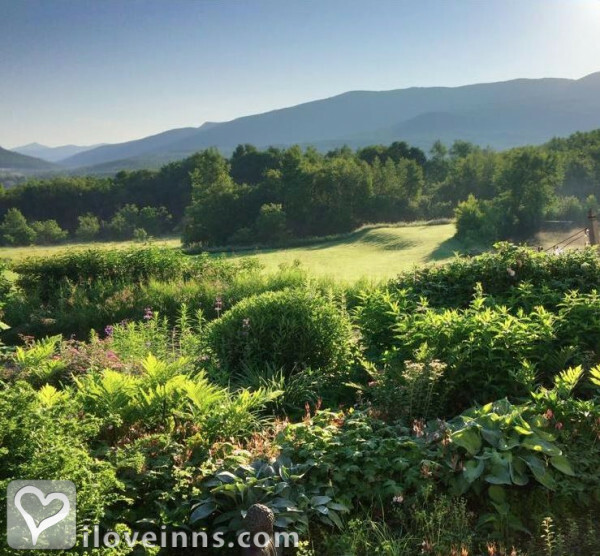 Our stay at VT Bed & Breakfast at Russell Young Farm was the perfect birthday celebration. The bed rood was lovely and comfortable, the breakfast was delicious, kayaking on the pond was great fun, and Carin and Luke could not have been kinder.